As an entrepreneur, you meet people everyday, make a connection and exchange business cards. But what do you do from there? Do you add it into your CRM? Do put the card in a shoebox somewhere to gather dust? Do you follow up with an email? … and do you do it consistently? I’m a bit of a geek, and so I’m always passionate about how you can use technology to systemise a process. There are some amazing online services that you can connect, that allow you to automate simple tasks that occur on a regular basis. It’s not just freeing up time, but also ensuring that you do things consistently every time. Today I’m going to look at how you can handle business cards, and flow that through into a CRM or marketing solution like MailChimp or ActiveCampaign. First thing first, you need some way to convert the business card into a digital contact when you’re out on the road. A real person transcribes the card (it’s not an OCR solution where software does its best to interpret what’s on a card). If you do a lot of networking – the number of cards in funny fonts, with business names on the back, or creative writing make this a must. Accuracy is important. The web app allows you to connect other services like Facebook, Instagram, LinkedIn, Gmail and other platforms to create unified contacts. What does this mean? You transcribe a card and you can see a person’s public social context as well – additional contact details, photos. If you’re visual like me, then a face to a name is great. BOOM! Done. Now you can take snaps of business cards, tag them (I tag contacts with how I met them) and submit them for transcribing. Once complete you’ll see the details of the contact appear in the list. So you’ve now captured a card and have it transcribed. The next question is – what do you do with it? You can either enter the contact into a CRM, or you can do what we do and add it to a marketing solution like ActiveCampaign, InfusionSoft or MailChimp. What you’re looking for in a good solution is the ability to do marketing automation. What is this? It’s the ability for the system to send out emails in response to triggered events. For instance, you may set up a campaign to send one email a week for 7 weeks. You might even get fancy and change the message depending on whether the reader takes certain actions. In one of our campaigns, we have a trigger that if someone subscribes to an online course, but doesn’t participate – we get in touch with them for a one on one training session. Marketing automation solutions give you the ability to create tailored communication while still reducing your time. We use ActiveCampaign at Digit, so for the purposes of this guide I’ll show you how to get it going there. 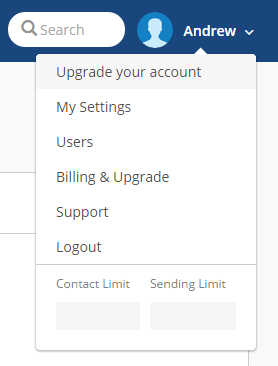 1) First – go to activecampaign.com and sign up for a new account. 2) Now log in – on the top of the screen under the menu you should see a Getting Started section. The first icon there is Create a List, click on it. 3) Complete the details to create a list. 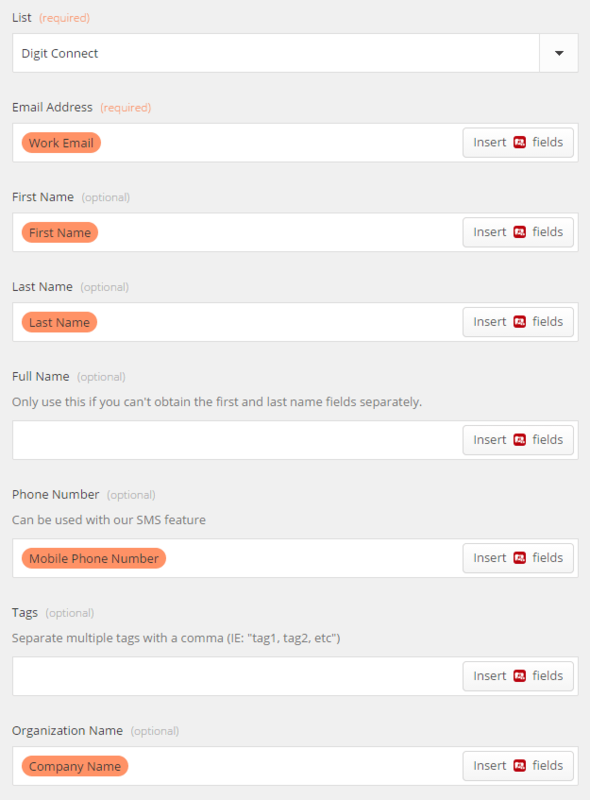 The list is basically a container for the contacts you’ll add. We call ours ‘Digit Connect’ since it consists of people we’ve met face to face. 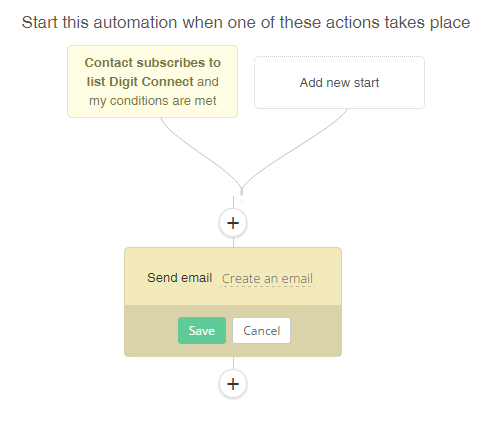 The automation should start ‘when a contact subscribes‘ to your new list. You want to specify a list as the message you’ll send will be specific to face to face connections.You don’t want to send a ‘hey it was great to meet you’ email to someone who subscribed on your website! 5) Once that’s done, choose ‘Send email‘ as the action. 6) You can then click on Create an email (and give it a name) and edit the content to what you would like to say. 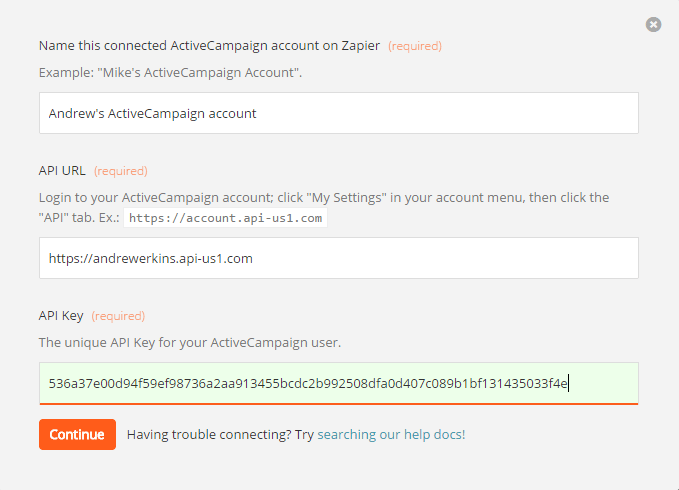 Services like Zapier allow you to connect two online services and have one update the other when an event takes place. It’s perfect to use when two online services don’t have the ability to directly talk to one another. 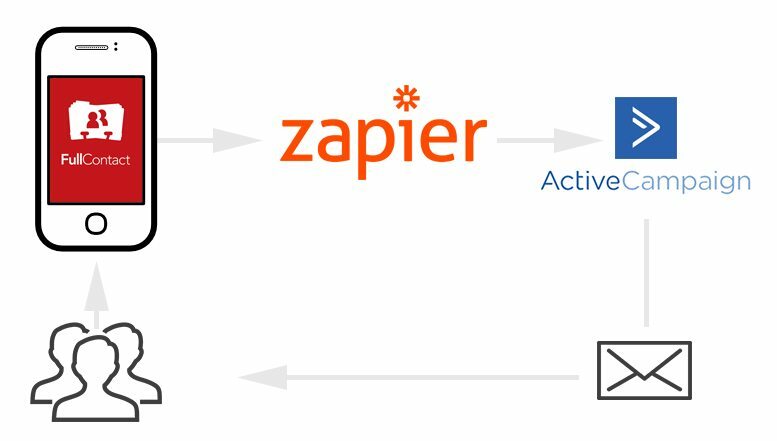 On Zapier they call these connections ‘Zaps’, and it supports over 300 web applications that can be connected together. I like to think of Zapier as the glue that holds everything together. 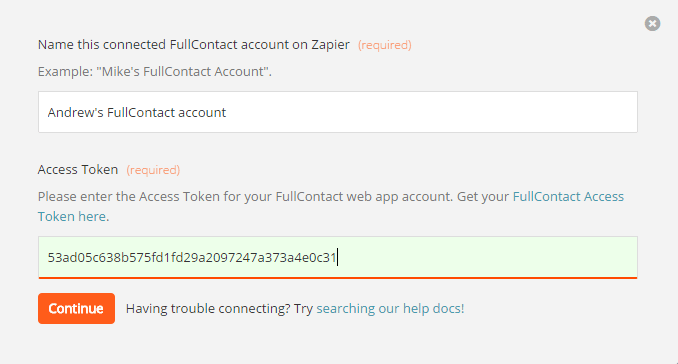 Next Zapier will ask for details to authorise the connection with each service. What makes Zapier great is that it tells you exactly where to go on each app to get the information it needs. 11) Lastly give the Zap a name then hit the ‘Turn Zap On‘ button and you’re done! You’ll be shown a screen to view your new Zap, to test it out – simply open up FullContact, take a photo of your business card – and minutes later you will receive an email through ActiveCampaign saying hi! Being able to connect services together allows you to build a workflow that matches how you work, using tools that fit specific needs. In this particular example, something that used to take me a few minutes every day is managed seamlessly with little input. If you’re interested in finding out more about what we do at Digit, and how we can help improve your business by leveraging technology – get in touch we love to chat!